Some of the Community Ambassadors from Flora Stevenson filmed themselves to record their opinions in the following vox pops. 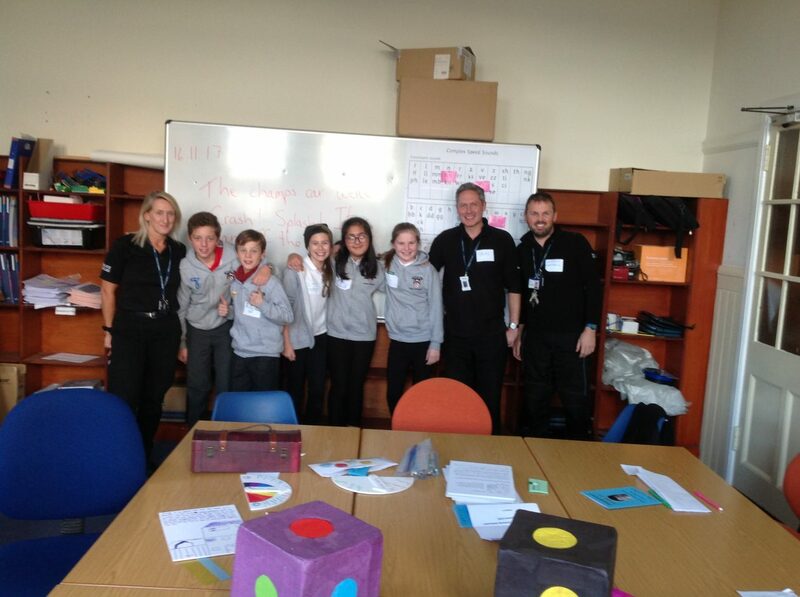 Our whole class of Community Ambassadors from Flora Stevenson travelled to Moray House, Edinburgh University to deliver a workshop to MSc and PhD Childhood Studies students. 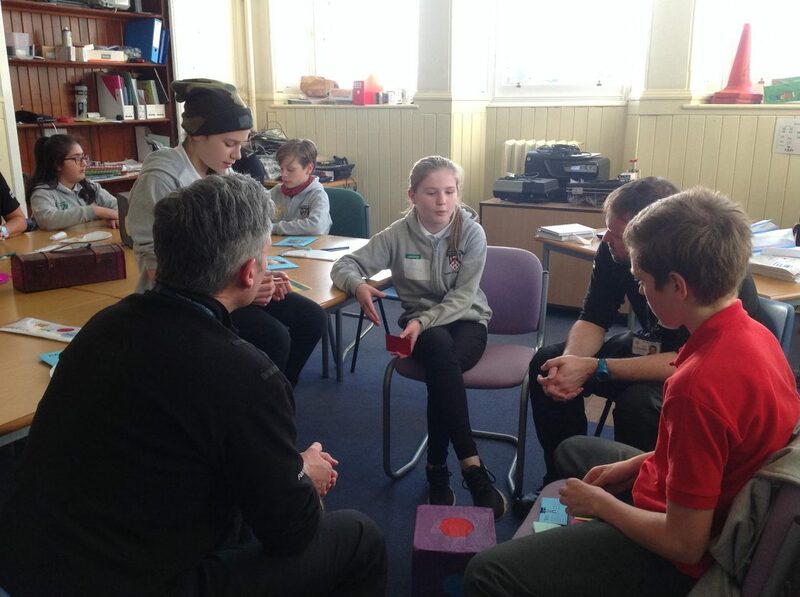 Community Ambassadors shared their work and views from their Community Ambassadors Programme in Edinburgh (CAPE), guiding the adults through a number of activities designed to help them consider and discuss children’s human rights and how they can adopt a children’s rights approach to their thinking and practice. 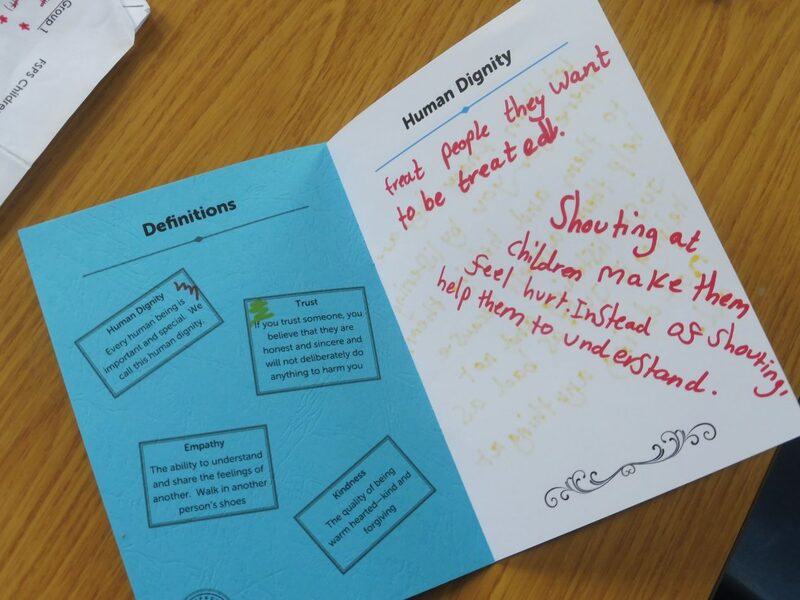 Together the students and Community Ambassadors considered the programme themes of Human Dignity, trust, empathy and kindness and discussed how children have identified these themes as being the values they need and want from adults when seeking advice or support. 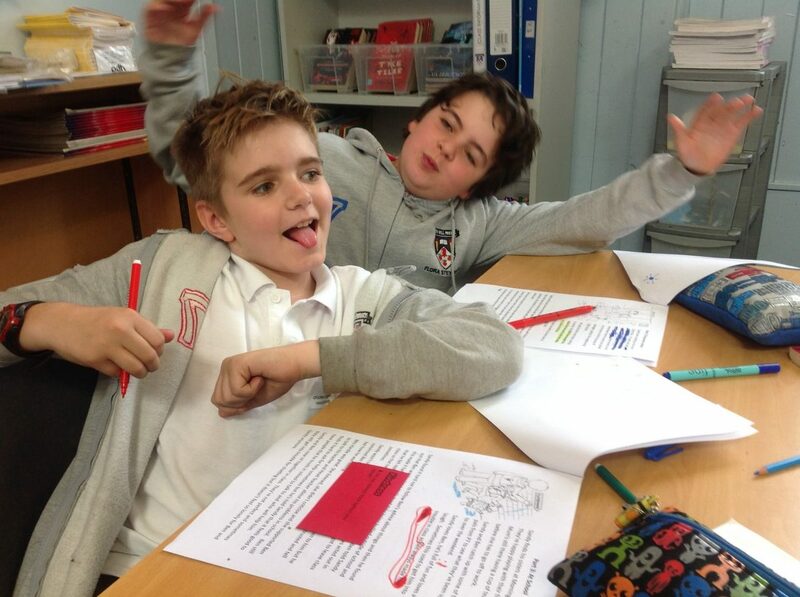 We’d like to thank our friends from Edinburgh University for making this workshop such a positive experience for our Community Ambassadors and for their pledges to children, some of which we include here. 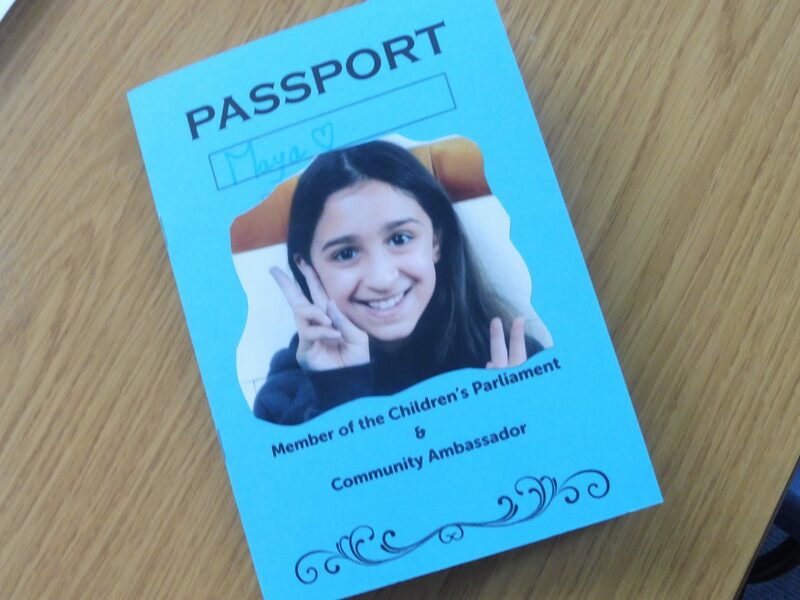 I, Fatima, from MSc Childhood Studies, University of Edinburgh, hereby pledge to make the world a better place for children by loving, caring and respecting them. I pledge to try to treat my students with empathy, kindness, trust and dignity. To encourage those students to do the same when they become teachers. To use those four words to focus my reflections on my teaching and my actions as a teacher and a parent. To see all of the students pledges on what they will do to make children’s lives healthy, happy and safe you can visit our “Adult Pledges” page on this blog. 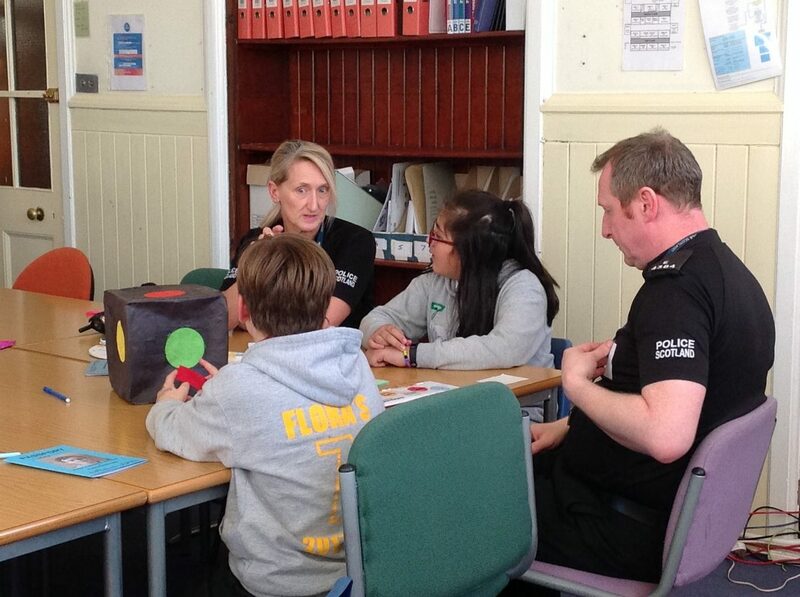 Community Ambassadors from Flora Stevenson play host to a team of Police School-Link Officers, taking part in their first adult workshop. 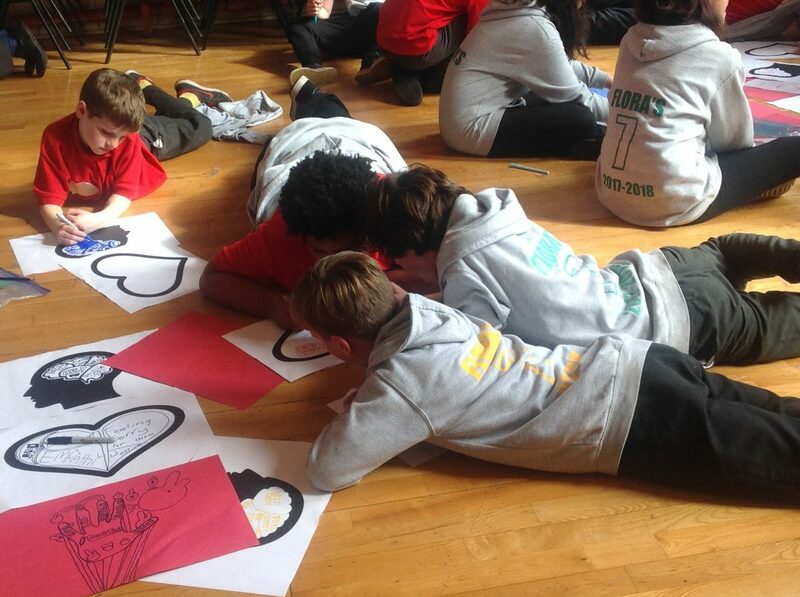 Our Community Ambassadors in Flora Stevenson’s have been reflecting and thinking about the work we have been doing together in the programme. 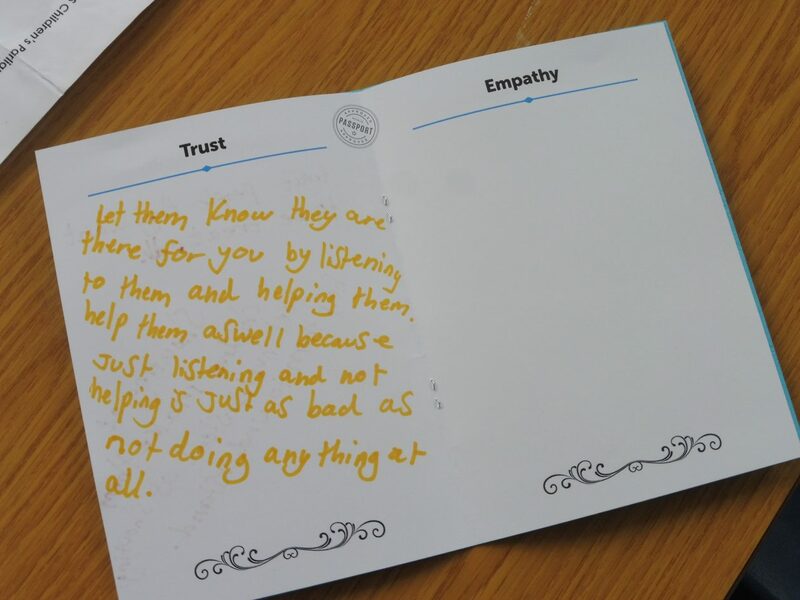 In our passport we’re beginning to think about the important messages we want to send to adults and about the workshops we are going to develop so that we can ask adults what we want them to Think – Feel & Do when we ask them for support. 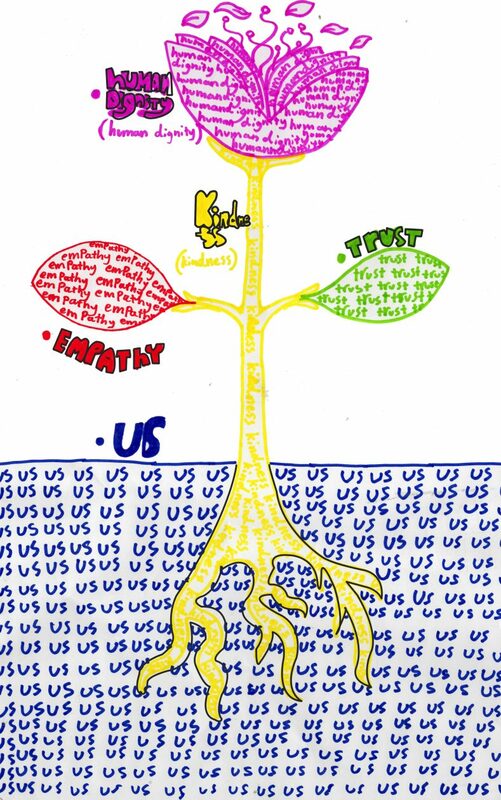 Simon has drawn a tree of Human Dignity where the roots of kindness feed and produce leaves of trust and empathy and blooms into a flower of human dignity. 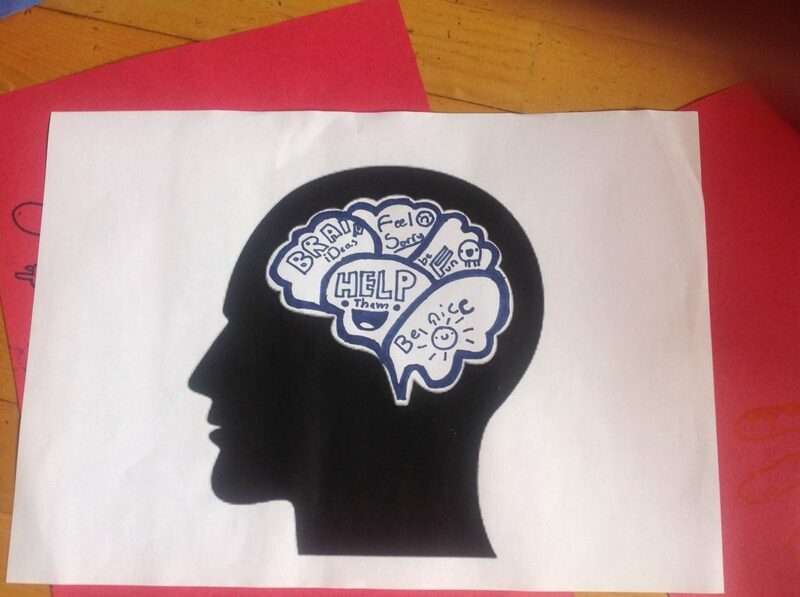 Our message to adults is; If you or anyone you know would like to take part in a workshop with our Ambassadors please leave Graeme and Beth a message in the comments session below. All welcome! 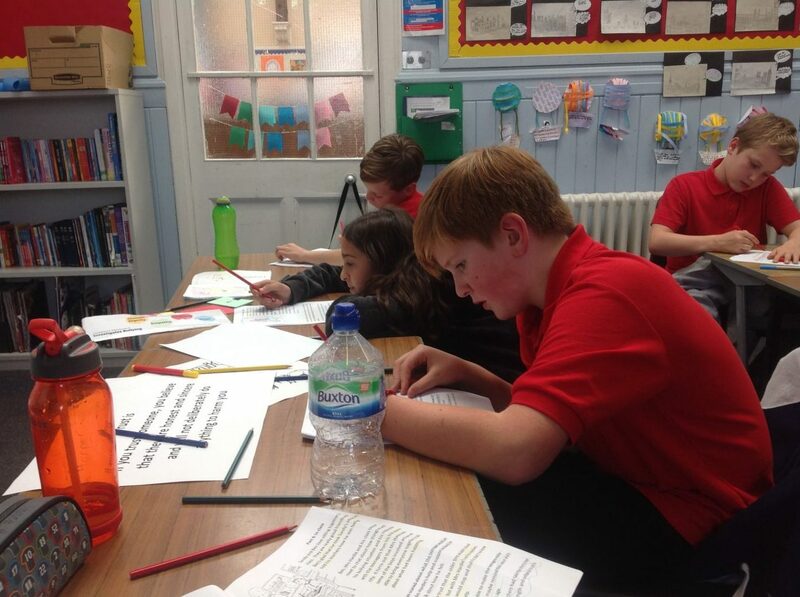 Last week the Community Ambassadors helped to rewrite Sandy’s Story. 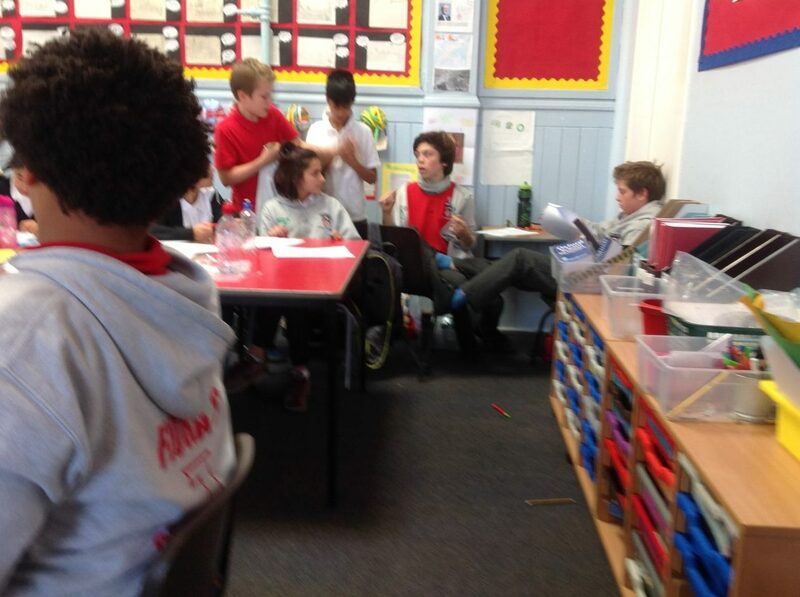 The Ambassadors listened to the story and then thought about the difficulties Sandy faced, their suggested changes included giving him his own room and a friendly school where everyone was kind. 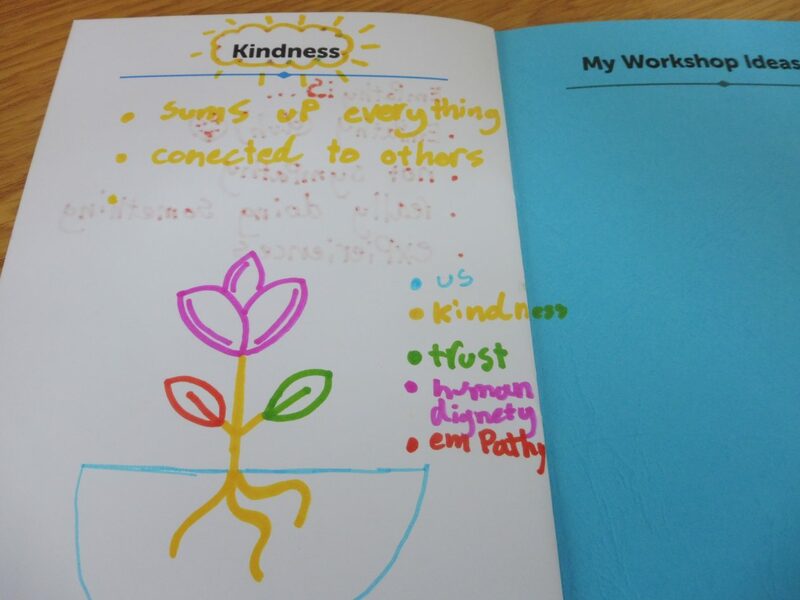 We read through the Ambassadors’ new story and found examples of trust, empathy, kindness and human dignity. To help us understand what these mean for other children we watched the videos that the Children’s Parliament Investigates Bullying Project had made. 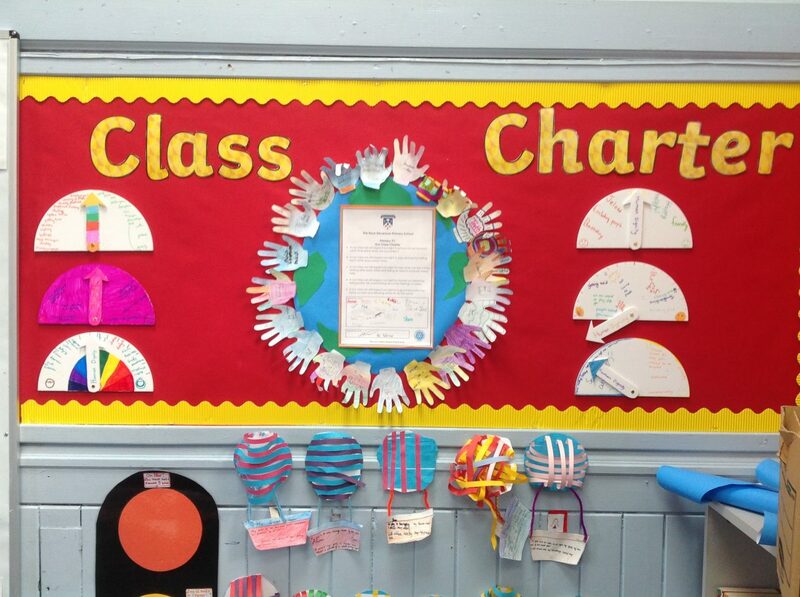 Look what we found in P7 classroom – Dignometers proudly displayed with the Class Charter. Hope these serve as great reminders of the importance of human dignity being central to children’s human rights discussions. 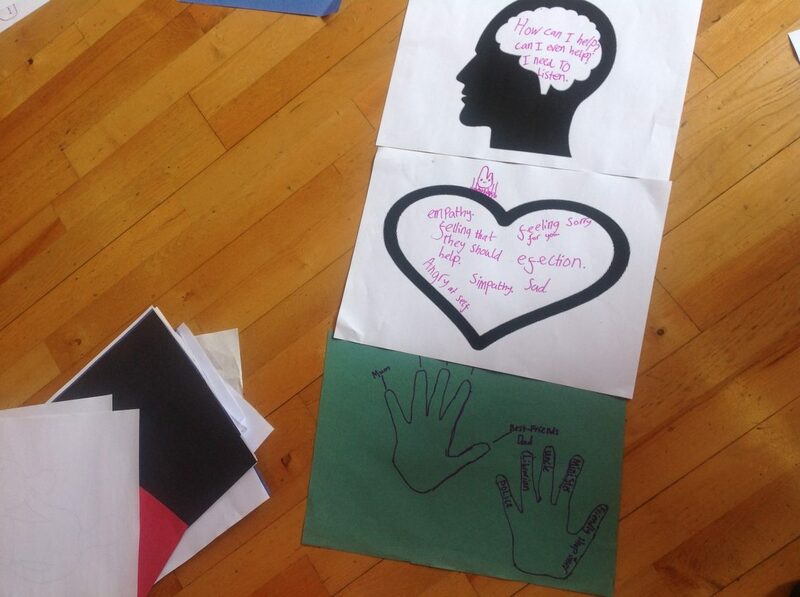 In today’s session with our Flora Stevenson CAPE teams we looked at Trust and what this means to us. We began by thinking about the adults we feel we can trust to make our communities feel healthy happy and safe. We thought that family and friends would be the people we would ask for help. It was more difficult to think about adults we “trust” outside of family. It would have to be someone we knew well and liked. Then we thought about what we need adults to THINK – FEEL and DO so that we trust them. Our question for adults is: Can we trust you to do what you say?